Emily’s Sweet Treats has been on Sandgate Rd for quite a while but it seems only recently to have picked up its game in the bloggersphere. They had a big presence at the Good Food and Wine Show which sent bloggers crazy. At Emily’s they only bake their famous Cruffins (Crossiant cross muffins) on a Saturday which brings the sweet tooths from all sides of town running. 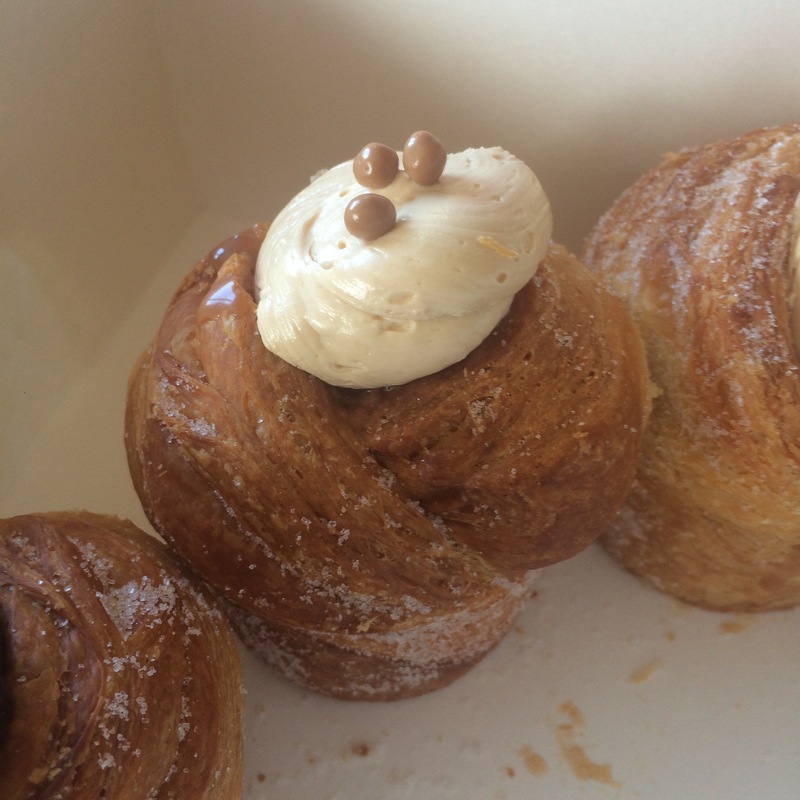 I was lucky enough to get my hands on a salted caramel Cruffin and the very last Nuttella before they sold out (yes this is a live or die situation something like the Boxing Day sales). To be honest I haven’t gotten onto the whole Salted Caramel bandwagon but the combination of saltiness and sweet worked perfectly. 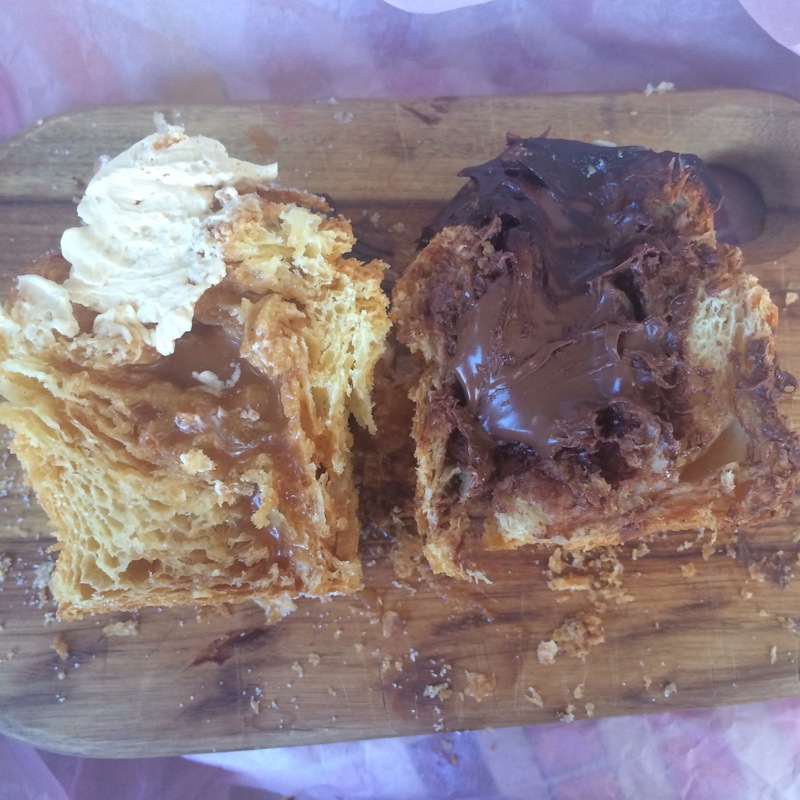 I love Nutella (who doesn’t) and I actually thought I would never say this but there was too much in my Cruffin. To the extent that it coated every surface of my mouth. At Emily’s they also take a lot of catering orders and make beautiful cakes. The coffee looked Devine. 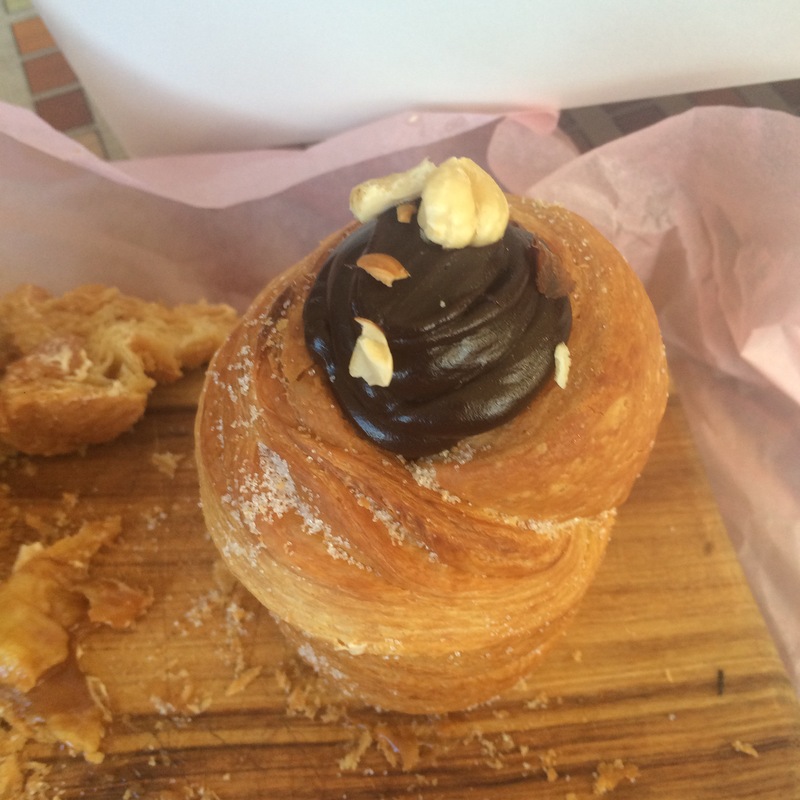 Overall: I haven’t yet tried any of the other treats from Emily’s as tempting as they may be I will be back to try some of their other Cruffin flavours. If I get in in time! 7/10.